When considering snakes around the home the last notion you should have is to engage a scaly visitor yourself. Within Brisbane suburbs is a considerable diversity of venomous and non-venomous snakes. Many of these species are common throughout residential and commercial properties alike, and they often come into frequent (potentially dangerous) contact with humans. Mitigating this interaction demands a professional response – with Brisbane snake handlers needed to quickly (and humanely) remove species such as Eastern Brown Snake, Red-Bellied Black Snake, Yellow-Faced Whip Snake, and more. 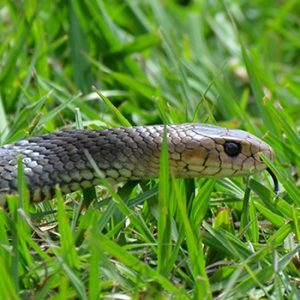 Snake Catcher Brisbane is Brisbane’s longest established snake removal service, offering a network of peerless support. As the premier snake handlers in Brisbane, we emphasise the need for professional aid – urging our clients to seek removal services immediately to alleviate potential risk. Do not engage with snakes. Instead, allow our team to identify (and execute) the best capture and relocation strategies, formed through years of professional service and expertise. Contact our consultants today to learn more. Property Searches – Brisbane snake handlers carefully assess each property, locating potential areas of concern and educating clients on the primary preventive measures. Identification – snake handlers in Brisbane have intimate knowledge of local species and can identify all snakes both venomous and non venomous. Capture – each of our snake handlers in Brisbane seeks to promote safety for both individuals and snakes, with the welfare of each snake impacting the response provided. Under permits issued by the State government they employ proven techniques to ensure humane captures. The purpose is not to cause harm but to provide welfare minded relocation. Transfer and Relocation – our Brisbane snake handlers carefully remove each snake from residential and commercial properties, returning them to habitats indicative of each species requirements. Through these services, each snake handler in Brisbane ensures optimal results for every client. Panic is an all too common emotion, with people reacting poorly to the presence of snakes in many situations. These responses are potentially dangerous, with direct contact heightening the risk of injury and/or fatality. Engaging professional snake handlers in Brisbane is therefore, essential. These fully permitted (and fully insured) specialists understand how to remove all snake species – ensuring quick, safety minded relocations. Our snake catchers have years of infield experience, coupled with an intimate understanding of the life history of snakes. This allows them to engage quickly, capture and subsequently relocate every snake captured.